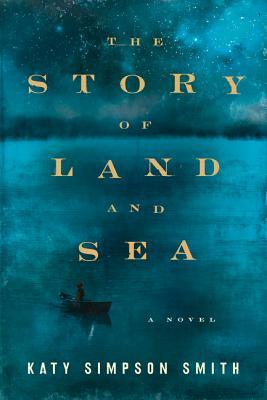 Set in a small coastal town in North Carolina during the waning years of the American Revolution, this incandescent debut novel follows three generations of family—fathers and daughters, mother and son, master and slave, characters who yearn for redemption amidst a heady brew of war, kidnapping, slavery, and love. Drawn to the ocean, ten-year-old Tabitha wanders the marshes of her small coastal village and listens to her father’s stories about his pirate voyages and the mother she never knew. Since the loss of his wife Helen, John has remained land-bound for their daughter, but when Tab contracts yellow fever, he turns to the sea once more. Desperate to save his daughter, he takes her aboard a sloop bound for Bermuda, hoping the salt air will heal her. Years before, Helen herself was raised by a widowed father. Asa, the devout owner of a small plantation, gives his daughter a young slave named Moll for her tenth birthday. Left largely on their own, Helen and Moll develop a close but uneasy companionship. Helen gradually takes over the running of the plantation as the girls grow up, but when she meets John, the pirate turned Continental soldier, she flouts convention and her father’s wishes by falling in love. Moll, meanwhile, is forced into marriage with a stranger. Her only solace is her son, Davy, whom she will protect with a passion that defies the bounds of slavery. In this elegant, evocative, and haunting debut, Katy Simpson Smith captures the singular love between parent and child, the devastation of love lost, and the lonely paths we travel in the name of renewal. Katy Simpson Smith is the author of a study of early American motherhood, We Have Raised All of You: Motherhood in the South, 1750-1835, and a novel, The Story of Land and Sea. She lives in New Orleans. — BBC Culture, One of "10 Best New Books to Read"